Now that the euphoria surrounding the OnePlus 6T (review) and the OnePlus 6 (review) has died down, rumours and leaks surrounding the next smartphone from the brand have started pouring in. We have already seen a concept render of the OnePlus 7 showing an in-display selfie camera and a triple rear camera module. Now, if the recent renders and leaks are to be believed, the OnePlus 7 might come with a sliding design. 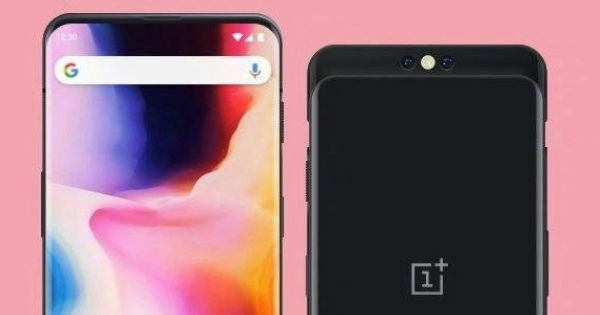 A new leaked image of the alleged OnePlus 7 prototype has been spotted on the Internet, giving us an idea of what to expect. In the image, we can see the upcoming flagship placed next to the OnePlus 6T to give an idea. However, both smartphones are wrapped in heavy-duty cases to protect the design elements. Despite that, the protective cover on the OnePlus 7 gives away a glaring change in the design. The case extends a lot higher on the top with what look like apparent cutouts for the selfie camera and sensors. If we are to go by our instincts, it is safe to assume that the upcoming flagship will feature a sliding mechanism akin to what we have already seen on the OPPO Find X (first impressions), Honor Magic 2 (review) and Xiaomi Xiaomi Mi MIX 3. Speaking of the sliding design, a concept render of the smartphone has also been spotted on the Chinese social media platform, Weibo. The concept render gives us more insight into what to expect from the smartphone. In the renders, we can still see bezels on top and bottom of the display, but they are extremely thin with the top bezel housing the earpiece. As for the back panel, we can see the smartphone slid up with dual cameras and the LED flash sitting in between both sensors. However, this is all that is revealed by the leaked renders. According to the earlier leaks, OnePlus 7 is likely to ship with an Optic AMOLED screen with FHD+ resolution and an in-display fingerprint sensor. The rumours suggest that the smartphone will have an impressive 95 percent screen-to-body ratio. A previous rumours suggested triple camera setup on the back, while we can see only a dual module in the images, so we suggest taking this bit with a pinch of salt. The selfie shooter on the upcoming flagship is speculated to be a 24-megapixel unit. A 4,150mAh battery with the newest Warp Charge technology completes the speculated spec sheet. If the brand sticks to its timeline, we can expect the OnePlus 7 to be announced in May 2019 alongside 5G model from the company.